Dinky little fridge magnet scissors. One of the handiest things you could have in the kitchen, and THE handiest thing you could stick on your fridge. 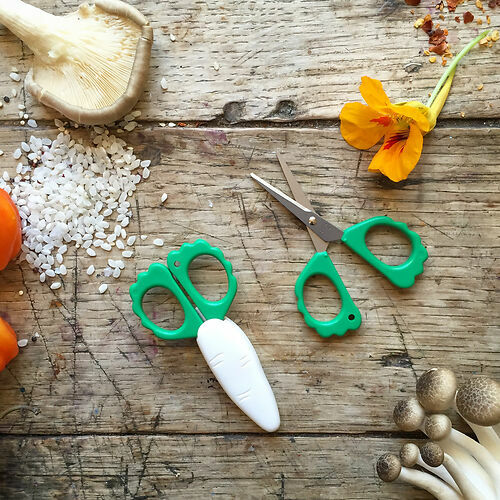 Carrot or daikon (aka mooli, a long white radish) magnets with little scissors inside. Perfect for all those little snips you make in the kitchen - and as they live on the fridge you always know where they are.